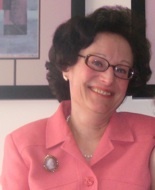 Susan Donnelly, MSW, LCSW has been a practicing psychotherapist in Bergen County for over 30 years. In addition to private practice, she has held Clinical, Administrative, and Supervisory positions in public and private agencies. She is former Chair of the Bergen County Mental Health Board. She has also served on the Juvenile Conference Committee of the Family Court, Racial Justice Committee, the Community Relations Advisory Board of Ridgewood and Glen Rock, and the board of CarePlusNJ. Trauma recovery, including childhood abuse & neglect, sexual assault, combat, traumatic losses and EMDR. Marital and family therapy, including pre-marital counseling, and divorce counseling. Children and adolescent therapy, including family, school, behavioral and emotional problems. Parents are encouraged to participate in the process. Spirituality, for clients who might wish to include their faith or spirituality as part of healing. Susan is familiar with many faith traditions. Susan has a reputation for genuine empathy and a sense of humor.